Though I was born and raised in Frankfort, Kentucky, the U.S. Navy saw fit to ship me all over, and outside of, the country. Believe me when I say, then, I am well aware the mention of our state name immediately conjures a variety of connotations. A few of these could even be called distinctions. My Frankfort home was mere minutes from some of the most famed producers and purveyors of whiskey and bourbon in the world. Hearing of this particular distinction during my travels was never much of a surprise. What I was never told, what I never heard, had to be discovered on my own, much later: We are also rich in poetry. The first project published by Two of Cups Press (edited by Leigh Anne Hornfeldt and Teneice Durrant Delgado, both gifted poets and haunts of the Holler Poets Series), the anthology collects an assortment of poems, covering a variety of tastes. In her foreword to the book, Carla Carlton (aka The Bourbon Babe) says, “In some selections, the amber nectar provides solace from despair; elsewhere, it might be the source of that despair. 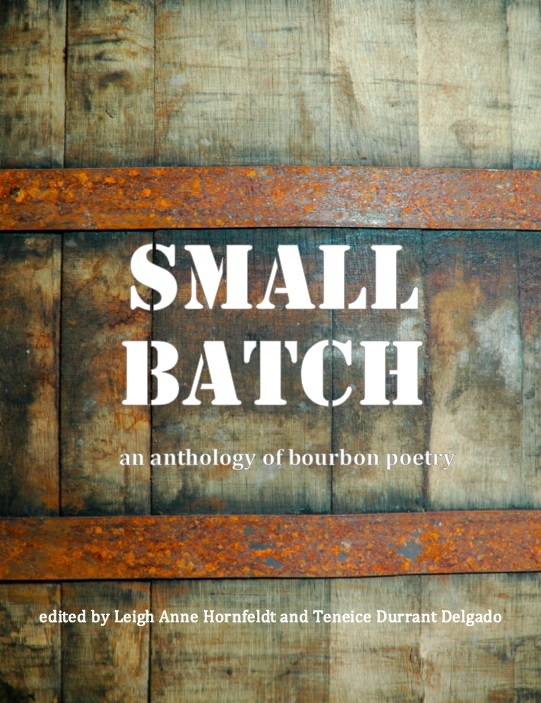 But always, it is there, burning brightly or soothing sweetly.” Using the subject of bourbon as a springboard for conversations that go ever deeper, the poets collected in this anthology mix laughter, sorrow, and camaraderie, in equal measures. Though many of them share common regional roots, the products that they serve, like the differing tastes of a single bourbon served neat, on the rocks, or otherwise, incorporate that central theme to dizzying ends. In addition to Walker and Sutherland, the anthology boasts an assortment of talented writers whose collections you will afterwards be hunting like a bottle of Old Pappy Van Winkle Family Reserve. These include Katerina Stoykova-Klemer, Ellen Hagan, Jude McPherson, Donna Ison, and our fellow Bluegrass Writers Studio poet, Jay McCoy. The list does not end there, and I can honestly say I did not find a single one of the 60+ poems falling anywhere short of fantastic. 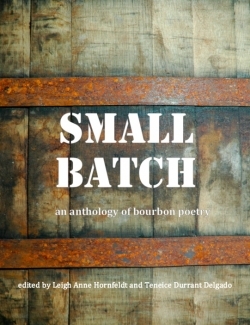 “Small Batch” is currently available at www.twoofcupspress.com, or can be purchased at Morris Book Shop and Wild Fig Books in Lexington, KY. Served with a sweet tea chaser, Hornfeldt’s anthology may ripple across the other states in the union, redefining our distinctions and spinning a few barstools in the process.